Alicia with her two daughters. Later, after her father’s death, her mother moved upstate with Alicia’s twin girls. Alicia stayed in the city. Her life on the streets intensified, leading to a drug conviction and prison. Alicia was troubled about how to write the next chapter of her life. She soon found at Providence House a supportive community of staff, residents, and sisters who both challenged and encouraged her to grow. “They did everything to make me feel like I could do this,” she said. Alicia worked with staff to meet parole requirements and adjust to life on the outside. She grew in confidence, started working, and saved her pay. After a year with us, she moved into her own apartment. It hasn’t always been easy, and there was a period when Alicia was unemployed—but she held fast. She’s working and still living independently. Along the way, she paid off some debts and completed her parole. And she’s enjoying a closer, better relationship with her family—especially her daughters. Janice, a residence manager, and Tiffany, at our Providence House in Jamaica, Queens. “I feel at home here,” said Tiffany, looking around at the familiar dining room, remembering her turbulent reality before coming to Providence House. 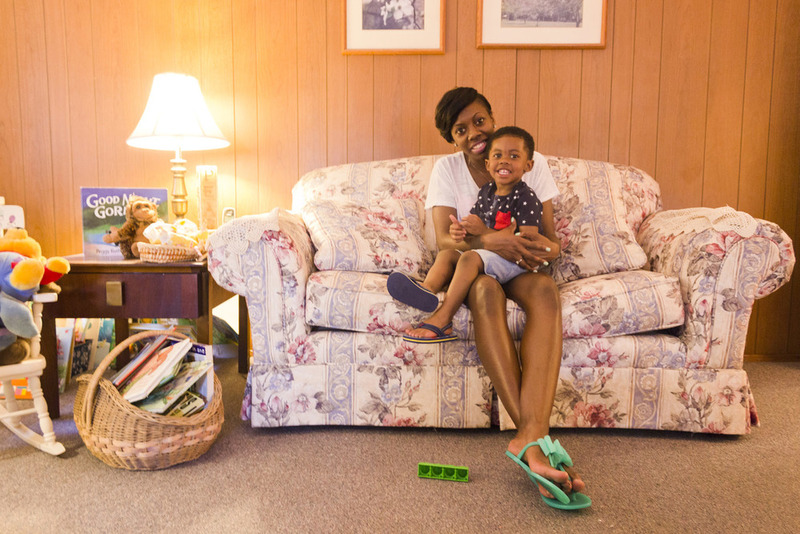 Last fall, amid family turmoil and broken ties, Tiffany and her two year old daughter were forced to enter the shelter system. When she became homeless, Tiffany was not only a mother but also employed and one semester away from completing her associate’s degree. her associate’s degree and was accepted into York College’s bachelor’s degree program in social work. She even took on a second job to save more toward getting an apartment and living independently. With the support of our Housing Specialist, she’s now searching for a safe, decent, and affordable place to live. everything I never had growing up.